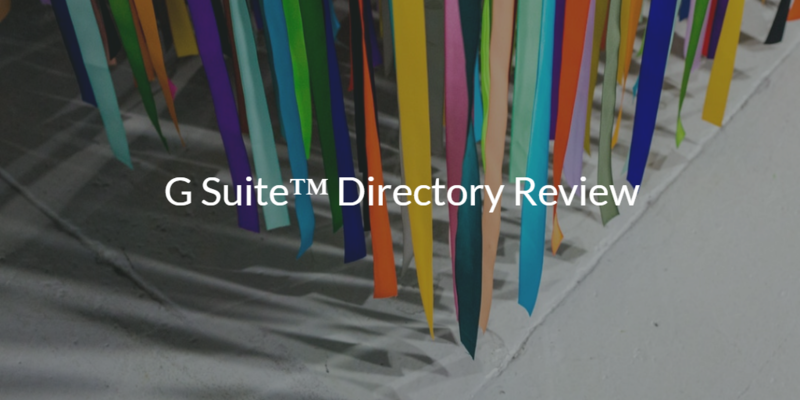 With the recent introduction of Google® Cloud Identity, a G Suite™ Directory review may be in order. The various components of Google Cloud Identity management can be confusing. It’s also important to understand Google’s overall strategy and perspective when it comes to identity and access management (IAM) services. 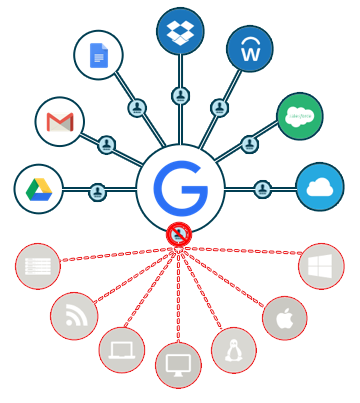 This blog post offers a G Suite Directory review, and discusses how Google identity management services compare to JumpCloud® Directory-as-a-Service®, but let’s start with the basics. What is G Suite Directory? 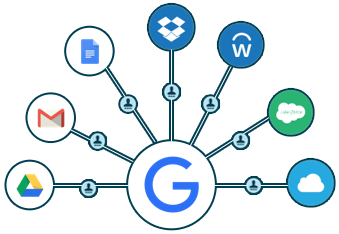 G Suite Directory has historically been the user store for G Suite users, although the term directory is somewhat misleading because it can make IT organizations think directory services, which G Suite Directory is not. Instead, their directory is really meant as a data store for Google users and attributes about them. To be fair, G Suite Directory does enable authentication to Google applications and services, as well as to a few, select web applications. However, this is often where the confusion comes in. The question is whether or not Google is using Google Cloud Identity to make the shift to become a more authoritative directory service, similar to AD but from the cloud. The short answer is no – Google Cloud Identity is really just an extension of G Suite Directory, whereby those user identities can be leveraged for other Google Apps and solutions. For IT organizations looking to leverage G Suite Directory as their core identity management platform, they should realize that identities hosted within Google aren’t portable and can’t be used to authenticate a wide range of platforms that operate outside of the Google ecosystem. This can include Windows, Mac, and Linux systems, on-prem applications via LDAP, cloud servers hosted at AWS® or Azure®, file servers such as Samba and NAS appliances, wired and WiFi networks, and much more. The bottom line is that G Suite Directory is really just another partial solution to the overall identity management challenges that IT must contend with on a day-to-day basis. The good news is that IT admins can leverage a third-party cloud directory to tightly integrate with G Suite Directory and unify authentication across G Suite, and also systems, files, applications, and networks. The same solution is completely cloud-based, and enables IT to eliminate all of their on-prem identity management infrastructure in favor of a comprehensive cloud alternative. In doing so, IT gains a centralized identity and access management platform that is effectively a reimagination of Active Directory in the cloud. It’s a next generation platform that securely manages and connects users to virtually any IT resource, regardless of the platform, provider, protocol, or location. This modern platform is called JumpCloud Directory-as-a-Service, and it’s essentially the holy grail for IT organizations. We hope this G Suite Directory review was helpful. Check out our whiteboard presentation to learn more about the JumpCloud G Suite integration. 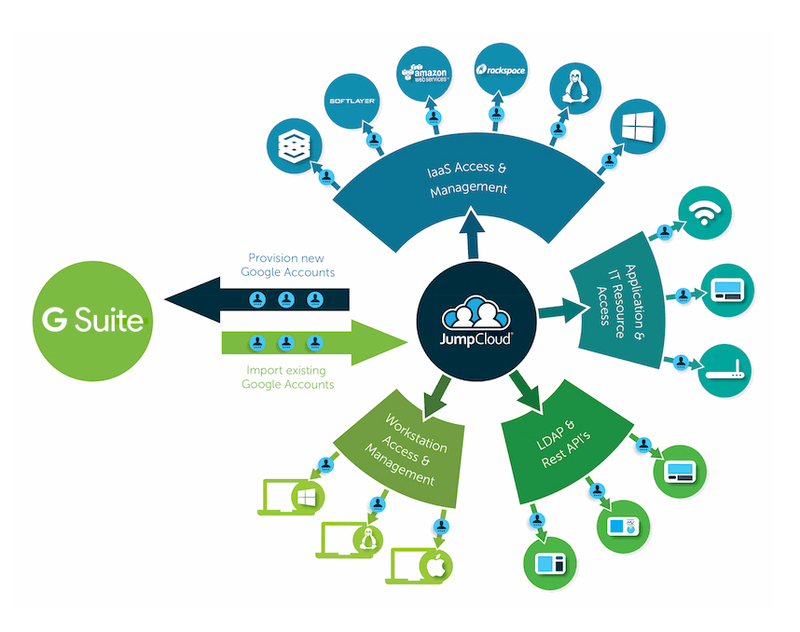 Sign up for a free account or schedule a demo to see the JumpCloud Directory-as-a-Service account in action. We offer 10 free users to help you explore the full functionality of our platform at no cost. You can also contact the JumpCloud team to answer any questions.